(NewsUSA) - The holiday season is right around the corner, which makes this the perfect time to spruce up your home before entertaining friends and family. Whether your guests are coming just to watch the big game or to stay for an extended period of time, your media space will no doubt be a popular gathering spot. 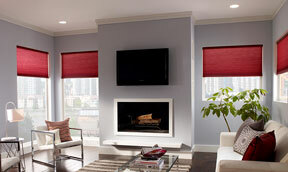 The American Lighting Association (ALA) suggests a few ways to enhance everyone's viewing experience. No matter what kind of space you have, whether it's a dedicated media room, a simple TV nook or something in between, the fundamental components are comfort and appropriate lighting. For the majority of homeowners, most media-related activity takes place in a multi-use space, which means the lighting must have the flexibility to go from everyday activities to TV viewing. "One of the primary design objectives in a media space is to create the ability to achieve multiple and varied types of experiences, and lighting provides the key element to achieve that goal," says Joe Rey-Barreau, AIA, IES, education consultant for ALA and associate professor at the University of Kentucky's School of Interior Design. Three necessary elements for the ultimate media viewing experience are the source of light, types and placement of light fixtures, and the use of smart dimmers. Keep in mind that natural light from outside is as influential as light from indoor fixtures. Multi-purpose spaces generally have windows, which create the need to control that light during the daytime as well as at night when even minor reflections can be distracting. Erik Anderson, national sales manager for Lutron Electronics Co., says that when it comes to lighting, "the sun is light bulb number one." He suggests using motorized shades, which can be retrofitted to an existing window, as a convenient and effective way to manipulate ambient light. It is important to consider where your light is coming from as well as the time of day and season, which affect not only the amount of incoming light, but also the angle and intensity of the light. Using dimmers may seem like a no-brainer, especially considering they are easy to install and highly impactful. New wireless smart dimmers simply attach to a wall or sit on a tabletop. Anderson explains that Lutron's Caséta Wireless dimmers are designed for simple, do-it-yourself installation. The inexpensive devices can be synced with a phone to control the lights, window shades and room temperature from a remote location. "It can be inconvenient to turn each thing on and off every time you enter or leave a room," says Anderson. "With Lutron's Caséta Wireless, you can pre-set it to adjust everything at once, so that it all comes to life with one press of a button." Achieve the perfect lighting to enhance your viewing experience.